We’ve experienced some awesome sunrises this autumn but this has to be one of the best yet! Ella Mae insist that at least one caroler must come inside and spend the day with her. A Christmas scene at Georgia’s Barnsley Resort. A great place to visit with a lot of history! 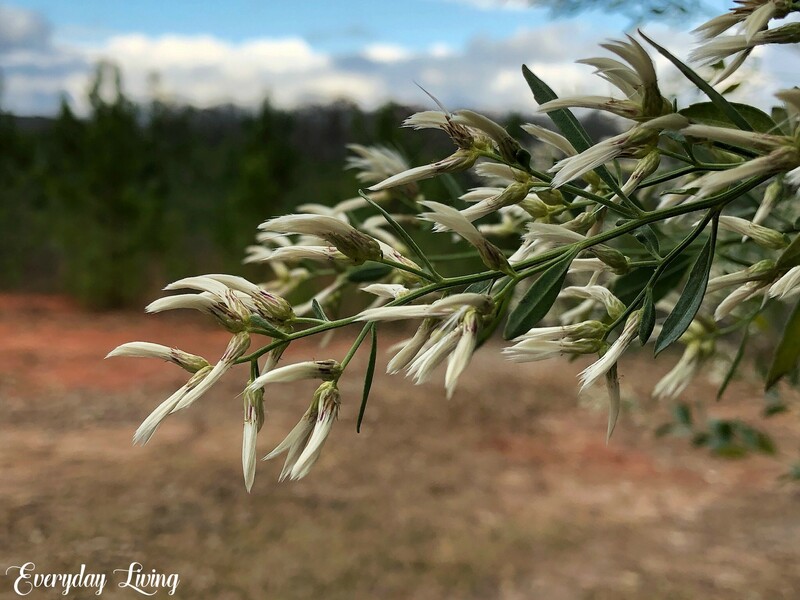 This flowering shrub is a mid-December bloomer and found along our roadsides. We’ve had some confusion as to what it is called. Maybe some of our readers can provide it’s name! There is no shortage of calorie laden goodies this time of year. These guys seem to disappear around mid-March and return the first of May. They love rainy days! We visited this sweet orphanage in Togo West Africa in 2011. Some of them were children when we were there and they’ve grown into good looking teens and young adults. 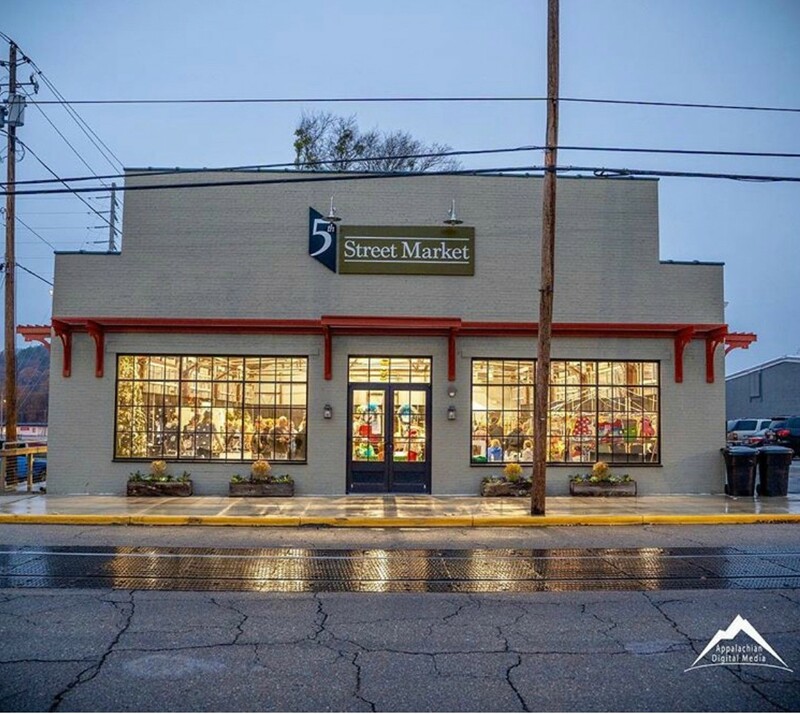 One of our downtown event places that sees a variety of activity. 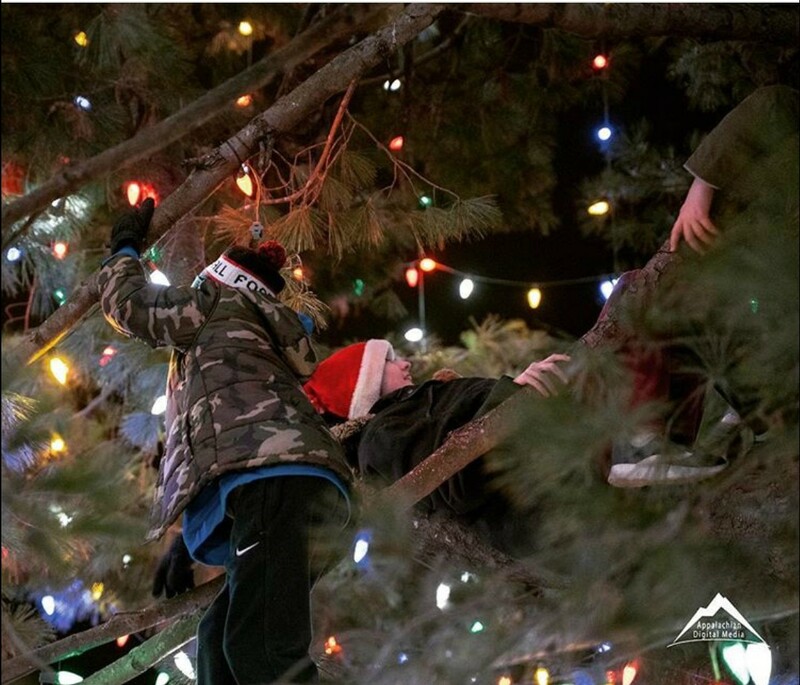 Kids enjoying the downtown Christmas tree after the lighting ceremony! ” Jesus Christ is the same yesterday and today and forever”. Way too much to eat this time of year. Have a beautiful Sunday, Rita! 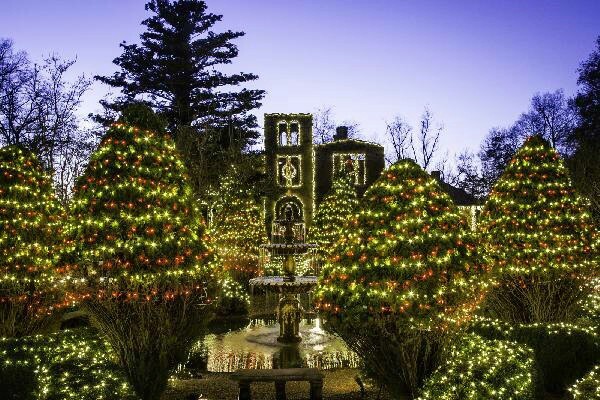 Your photos prove it is A Most Magical Time of the Year! The sunrise is incredible. Your trip to the orphanage must have been the visit of a lifetime. At my Anglican Church we end our service each week with part of the Kenyan Anglican service by “sending our problems to the cross of Christ”. Enjoy your week, sweet Pam. Thank you dear Roxanne! Have a merry week! Beautiful photos of this season. Yes, I can see that Ella Mae might want the caroler with her. 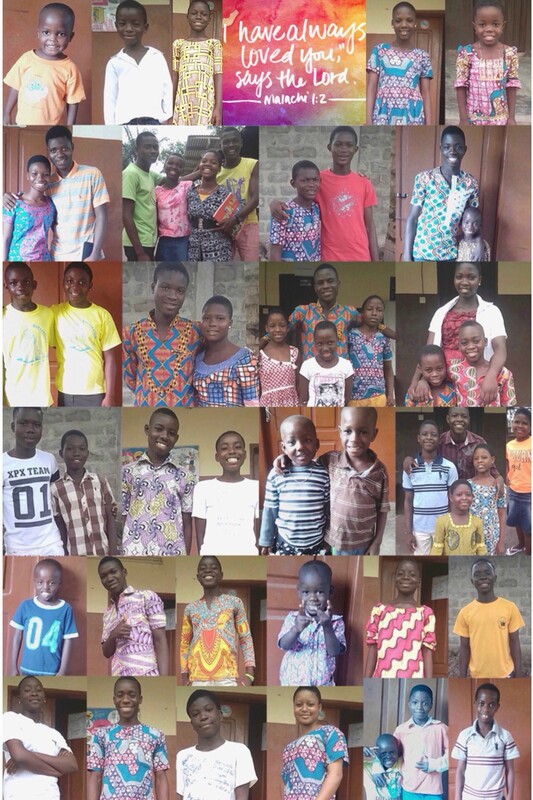 Good looking and precious children from the orphanage. Have a wonderful Sunday. Much love Pam. Thank you dear Alice. 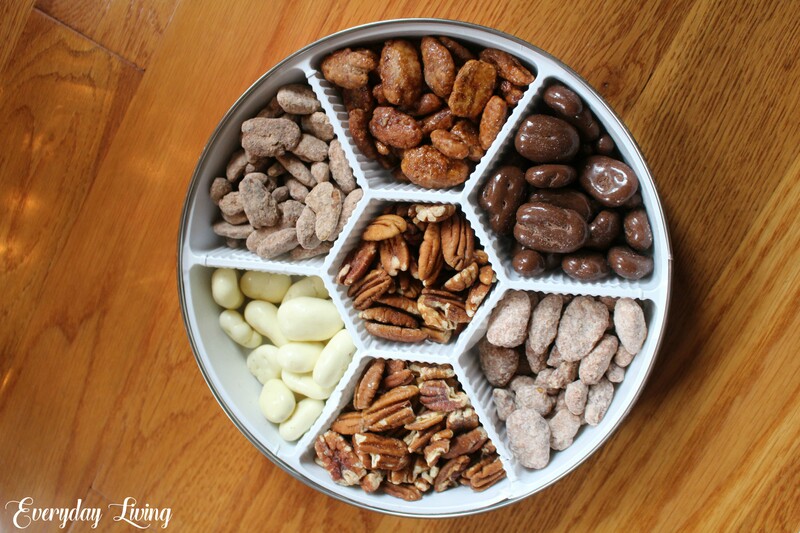 I can’t wait to make the cookies this week! Pam, the sunrise is glorious. 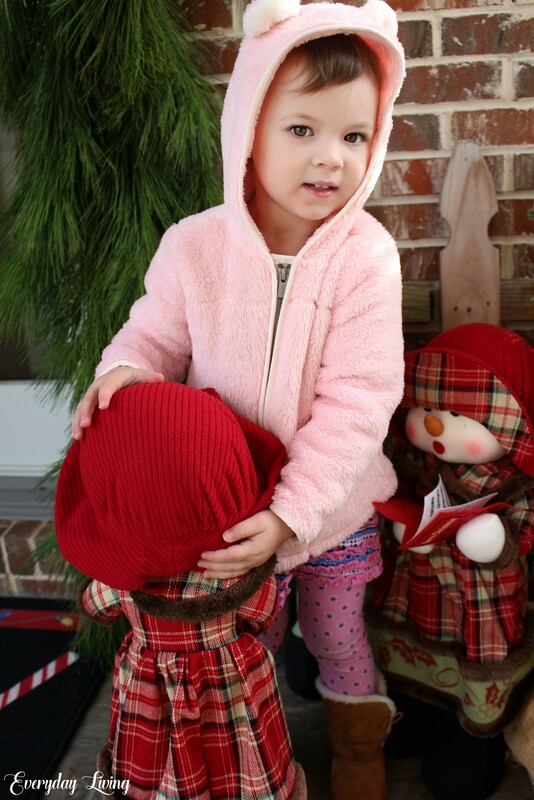 I can understand that Ella Mae would want a caroler to visit with her. And, I think I have mentioned it before – pink is certainly Ella’s color. It just lights up her face. Pam, I have no clue about your blooming shrub. Although, it does have a honeysuckle leaf. Maybe some variety of such. Thank you dear Sandra, have a merry week! As always such beautiful photographs! That sunset is gorgeous, and how sweet that Miss Ella Mae loves those Carolers. I’m in the same boat with you on no shortage of yummy treats. I’m going to have to go on a serious diet after the holidays. Happy Sunday, sweet friend!!! 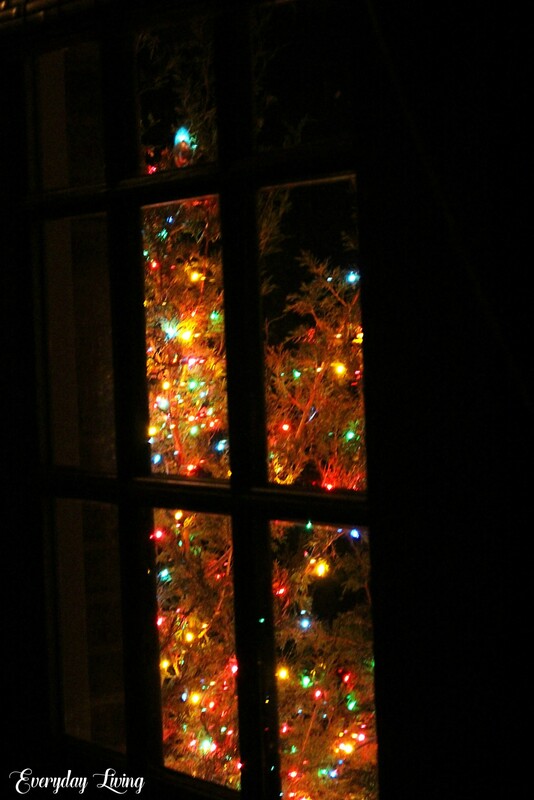 What a lovely post with so many joys of the season and beautiful photos…but your last photo of the windowpane cross and lighted Christmas tree took my breath away, it’s just stunning! Thank you Pam! Thank you Sue, wishing you a wonderful week! What a wonderful collection of special moments. Ella Mae is just darling. May you have a wonderfully blessed holiday season. 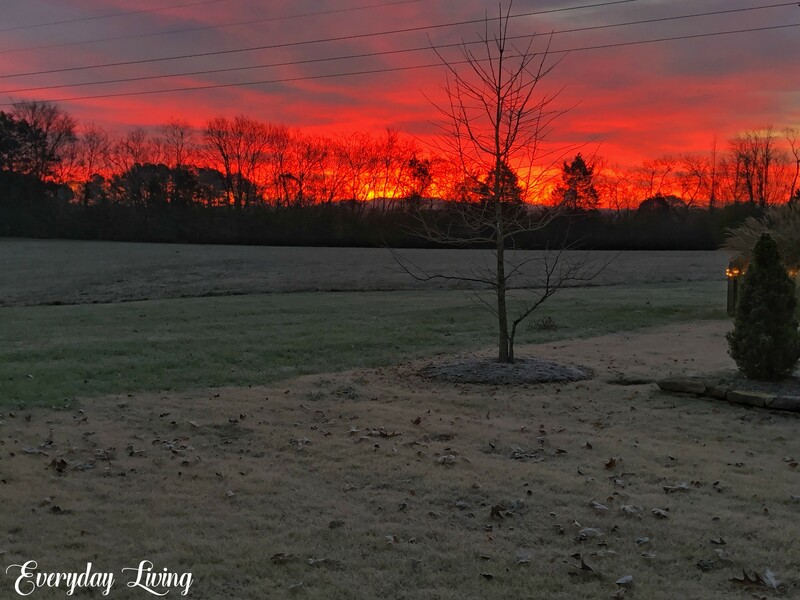 Beautiful sunrise!….I miss our sunrises at the former house….Love all of the special photos of enjoying everyday life to the fullest….Have a most wonderful day Pam! As always such lovely photos. My daughter is a professional photographer however my photograph abilities; not so much, so I can truly appreciate them 🙂 Have a wonderful Christmas and my best for the New Year. Merry Christmas Elizabeth and Happy anew Year blessings! Have a very Merry Christmas and Happy, Healthy New New Year, Pam and Butch. Thank you so much Shannon for your visit! Have a blessed Sunday,dear friends!Gorgeous pictures!Hugs! I love your blog! Regarding the shrub, my son says it is baccharis halimifolia. He’s in a wildlife program in college at ABAC and has taken several classes dealing with the identification of plants and trees. Merry Christmas to your family! Monica, thank you and a special thanks to your son for identifying the shrub. Merry Christmas to you and yours! 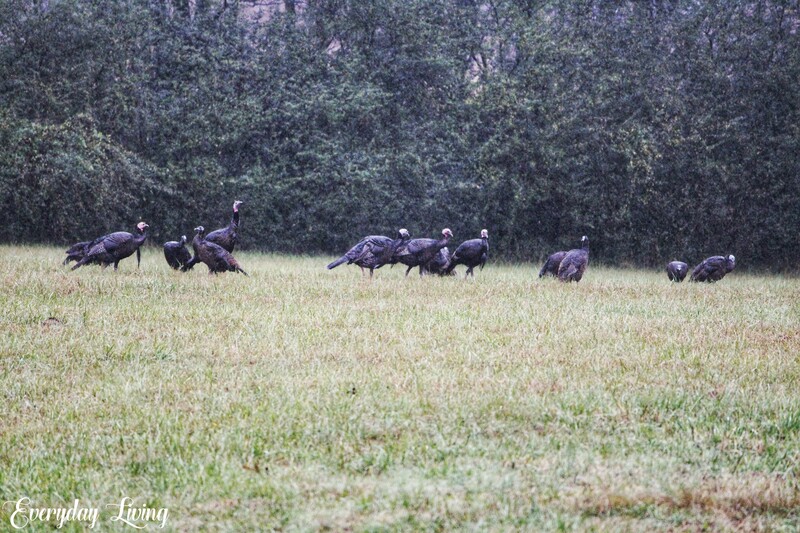 Wild turkeys! How stunning. I can see why Benjamin Franklin wanted to make them the national bird instead of the eagle. (am I remembering that right?) The children from the orphanage gave me a warm Christmas smile! Stunning sunset! We have a “pet” wild turkey that roams around our back yard from the woods behind our house, it’s so much fun to see him! Ella Mae is such a doll, I know she must think those carolers are her playmates! Stunning sunset Pam, how amazing is our God to create such beauty & wonder! Pam, what a beautiful time of year and your photos reflect all things good. God is so faithful as you said. The same yesterday, today and tomorrow. What a promise. Blessings Always my sweet friend.